Friendly service. Impressive bathroom. Spacious bathroom. 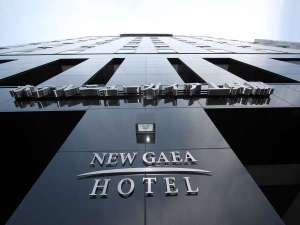 A 4-minute walk from Gofukumachi Station, Hotel New Gaea Kamigofuku is situated between 2 subway stations. Tocho-ji Temple is a 8-minute walk from the hotel. There is a 24-hour front desk and free luggage storage at this property. Free WiFi is available throughout the entire property. Tenjin Station is 6 minutes by train from the property, while Nakasu and Canal City Hakata shopping area can be reached within a 10-minute drive away. All guest rooms are furnished with a flat-screen TV and refrigerator. The private bathrooms are equipped with a bath, shower, high-tech toilet, hairdryer and free toiletries including toothbrushes. Wake-up service is available at this hotel. Extras are USB ports in headboard and Hojicha tea set. Dry cleaning services are available for an additional fee, while there is a trouser press that guests can use for free. There is a coin launderette on the 2nd floor. For an extra charge, guests can enjoy a massage upon prior request. Private on-site parking is available for an additional fee. There are drinks vending machines on site. Several dining options are located within a 5-minute walking distance from the property. The property is a 5-minute walk from Chiyo-Kenchoguchi Station, and a 15-minute walk or 6-minute drive from JR Hakata Station. Guests can reach Kushida Shrine in 12 mintues on foot from the property. Kyushu National Museum is 51-minutes away via bus. Fukuoka Airport is 18-minutes away on Kuko Line. Bus stop right in front of the hotel. Excellent location. Free parking spaces. Very good hotel. Located near shopping areas and has easy access to public transportation. Fantastic service. Awesome vibe. Without window. Pillow too hard. Rooms are tiny. Pillow too hard. Rooms are tiny. Hard bed.